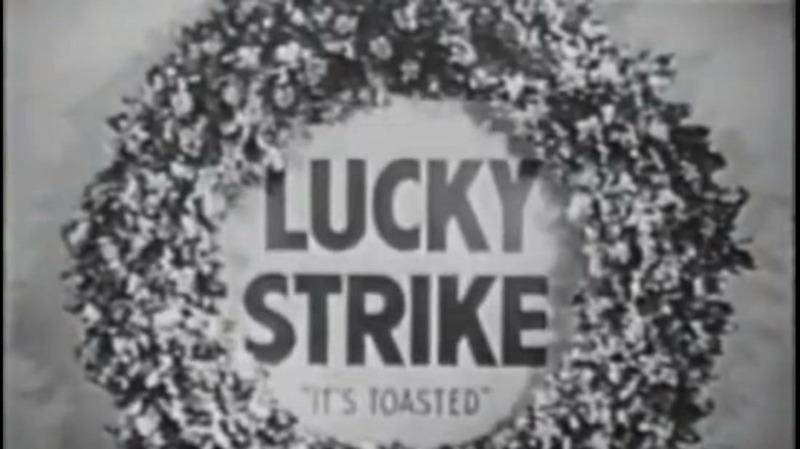 Like fruitcake, holiday television commercials are a longstanding yuletide tradition. And also like fruitcake, they can be nauseatingly sweet. (Unless you’re plugging a carton of Lucky Strike cigarettes as the perfect gift for those hard-to-buy-for types on your list.) Here are 11 classic commercial ghosts of holidays past. Here’s a wonderful Christmas gift for anyone you’d like to kill: 200 cigarettes. Yes, 10 packs of cigarettes, all done up in a beautiful carton created by the famous designer, Mr. Raymond Lloyd. It will look so bright and colorful under your Christmas tree, or perched alongside the recipient’s final resting place 10 years from now. The 1950s were fun! The production quality improved over the years (the commercials began in the 1960s), but the basic framework of Norelco’s holiday hawking remained pretty consistent: Santa zooms around in the top part of an electric razor (sorry, Rudolph), an excitable pitchman showcases the brand’s latest offerings, the company temporarily renames itself “Noëlco,” then Santa zooms off until next year’s edition. The “Real Thing” got real sappy when it updated its iconic 1971 earworm on peace, love, happiness, and sugary beverages to have its harmonious hillside inhabitants form a human Christmas tree. Folgers purchased a full minute of airtime—and plenty of ‘em—to pioneer the whole heartwarming “family member comes home for the holidays—surprise!” storyline. In the original 1985 edition, which ran every year for more than a decade, it’s difficult to decipher whether the family is more excited by Peter’s homecoming or by the pot of Folgers that he so graciously brewed. And maybe that’s the point. Budweiser’s team of Clydesdales seems a bit too regal to be peddling cheap suds, but they’ve been the brand’s trademark for 80 years now. And their motion picture holiday cards were, are, and always will be some of the classiest commercials around. Speaking of classy: Hershey’s Kisses may have stumbled onto the perfect holiday commercial formula in 1989 when they debuted their chocolatey take on “We Wish You a Merry Christmas.” It’s short, sweet, seasonally appropriate, and to the point. No wonder it’s still airing 24 years later. A product called “The Clapper” with the tagline “Clap On, Clap Off, The Clapper” needing a 30-second commercial to explain its purpose seems redundant, really. Speaking of redundant: its yuletide commercial barely differs from the original incarnation—it just replaces three seconds of that restless old woman in bed with an enormous set of hands using the enviable device to clap a Christmas tree on and off! If Nabisco taught us one thing in the 1980s, it was that Santa is an Oreo dunker. And if they taught us a second thing, it’s that he can wolf down a plate of cookies and a glass of milk in Guinness World Record-worthy time. Forget the Ghosts of Christmas Past, Present, and Yet to Come. In the late ’80s all it took was a bowl of Honey Nut Cheerios to invoke Ebenezer Scrooge’s Christmas spirit. With just a tiny bit of prodding from that annoying little honeybee.